An exciting position has arisen within the Production Planning department for a full-time Production Planner. 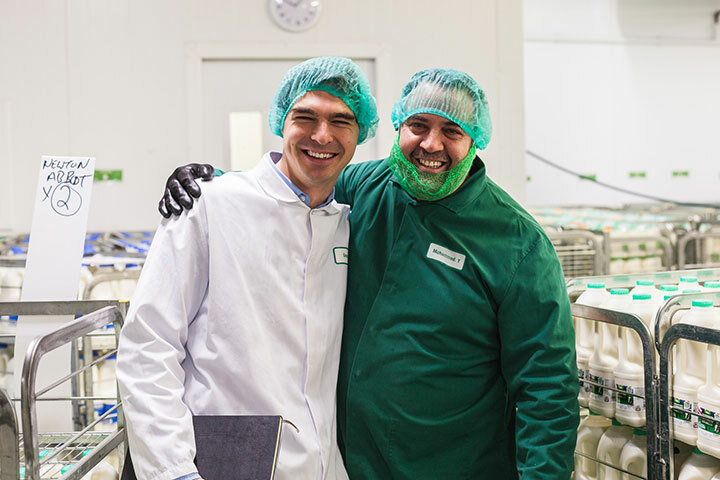 Being a team player with a can-do attitude, you will work alongside our existing Production Planner ensuring all the daily needs are met in producing the daily plan for the site. Being a specialist in your field you will use the experience built up to help shape the Planning Department for the next phase of company growth. In return for the right candidate, an exciting career opportunity lies ahead with training and growth opportunities as the company continues to grow. Creating and analysing daily and weekly forecasts for all product SKUs, for customer base, which include multiple retailers and manufacturing companies. Liaising with customer planning teams to ensure their requirements are met. Controlling stock levels to ensure no wastage and shorts to customer and operationally stock levels don’t impact on health and safety. Trewithen Dairy is a forward thinking, fast moving company. To be successful you must have a ‘Can Do’ attitude, like to ‘think outside the box’ and to be prepared to challenge the norm. Previous planning experience essential, within a complex environment. Within the food industry preferred but not essential. Previous experience with MRP / ERP systems advantageous. Excellent knowledge of Microsoft Excel, Word and Access. Flexible approach to working hours as ‘on call’ work is required. Previous experience with hands on approach with customers and suppliers advantageous, but not essential as training will be given to the right person. To apply for the role please complete an application form. Please send completed application forms together with a covering letter, outlining your interest in this opportunity and why your experience makes you a suitable candidate to jobs@tamarhr.co.uk.